A local co-op game in development for the HTC Vive where one player wears the headset and another two players each have one of the controllers. However, they have those controllers strapped to their heads as horns in order to play a couple of narwhals. All three players work together to complete different tasks like popping balloons, demolishing buildings, and answering phones. 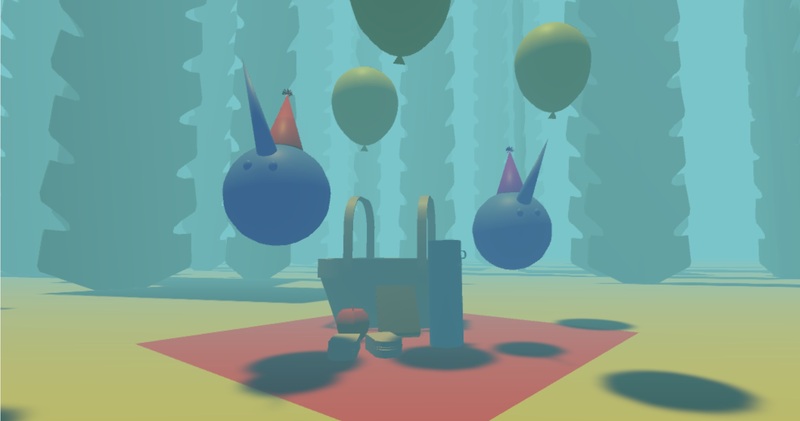 Blending the area between virtual reality and reality, Narwhal Picnic creates situations where people work together in different ways every playthrough.